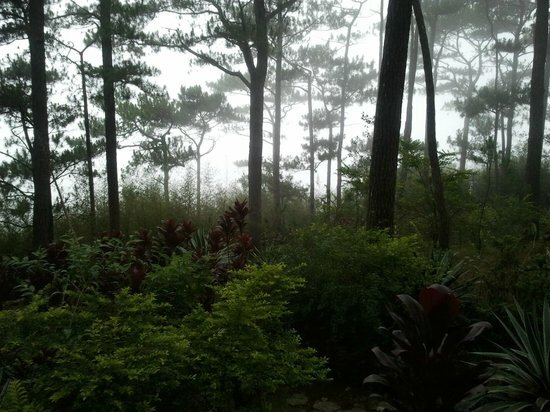 This is one of the parks here in Baguio City. 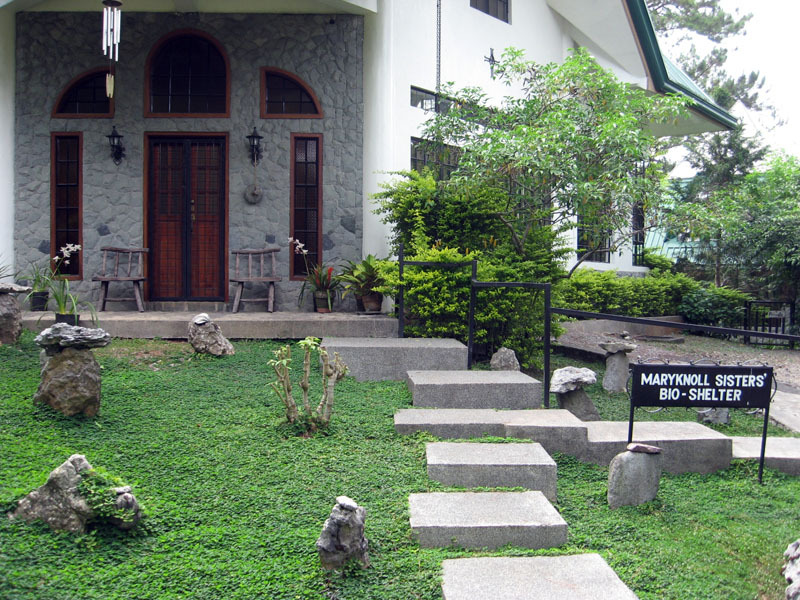 If you are looking for some kind of sanctuary to meditate or to be alone, then head on to Maryknoll. It's a private and secluded. You can take a walk and enjoy the different sculptures and stuff they put in there. You can also get closer with nature. This is known to be a green museum. 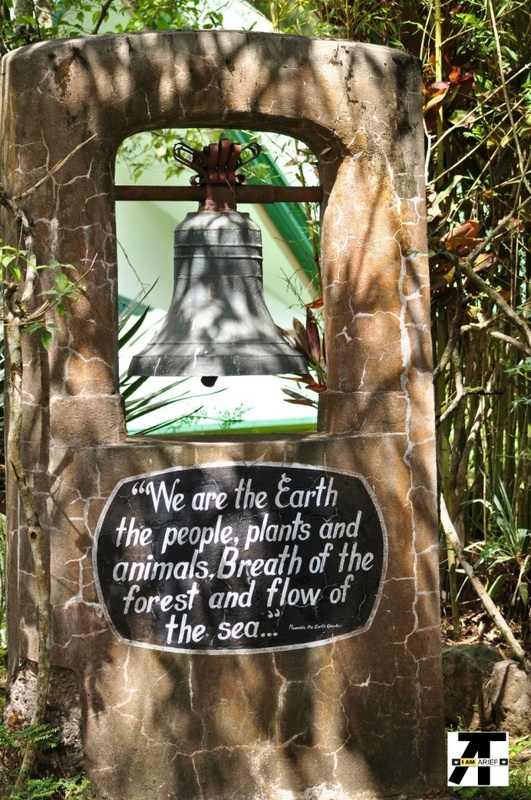 Maryknoll Ecological Sanctuary or simply Maryknoll, encourages us to be more aware of what the earth can offer and how we can sustain them and to help us realize the things that we can give back to nature. They promote consciousness and awareness of our connection to Mother Earth. We were here recently because I chose this to be the venue for a prenup for a friend. They added some things there that I haven't seen the last time I was there. They added a house made of indigenous materials. They improved their little Stonehenge replica. At Maryknoll, you can also see some parts of the city. This is owned by the Maryknoll Sisters. It was used as a school before - Marishan Elementary School. 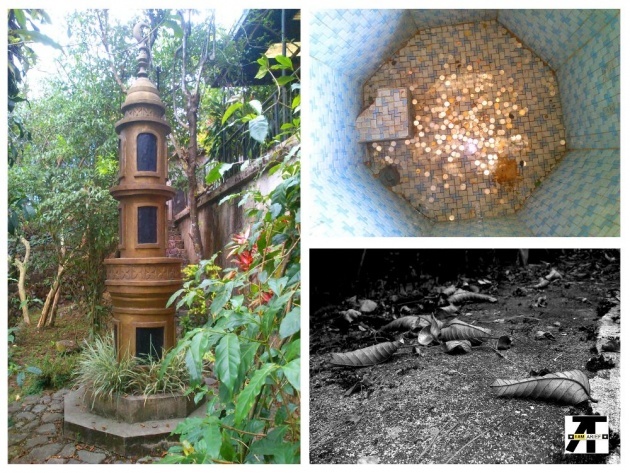 After the July 1990 earthquake that hit Baguio, the Maryknoll Sisters decided to make an ecological sanctuary focusing on the "fragile environment" that our Earth has. 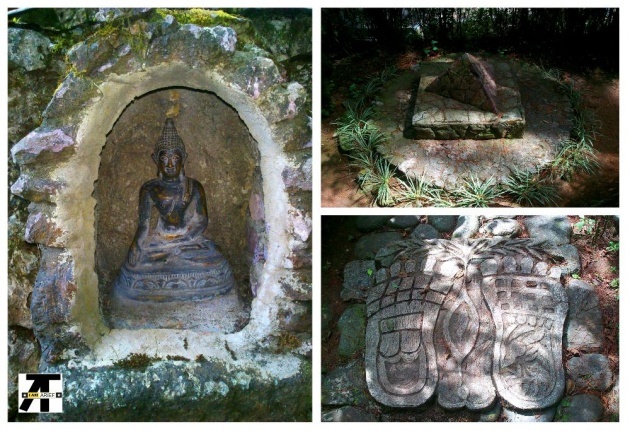 Here you can see an ancient cave where displays of old coffin and some artifacts. 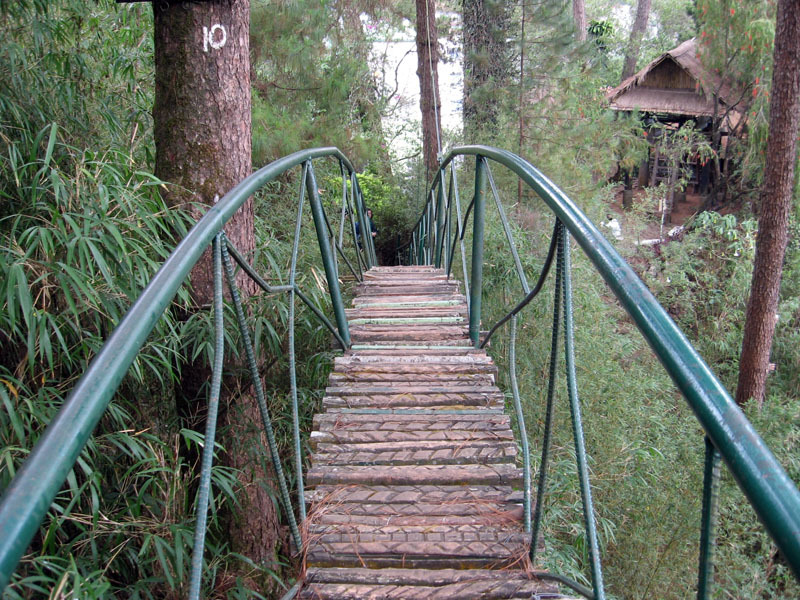 You can also see and walk on an overhanging bridge. There is sort of a Stonehenge also. There are also displays about different kinds of religions. And many more. They even have a version of their own "wailing wall" or prayer wall. You can insert your prayers written in paper. 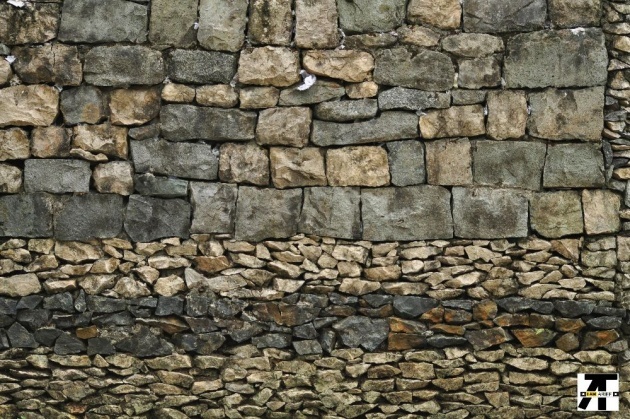 You can see in the picture below that there are pieces of paper inserted in between those rocks and stones. The environment of Marknoll is a good place to offer prayer and meditation. Aside from those above, some of the classrooms were converted into souvenir shops and a canteen. They have paintings and other arts and crafts sold in their shops. 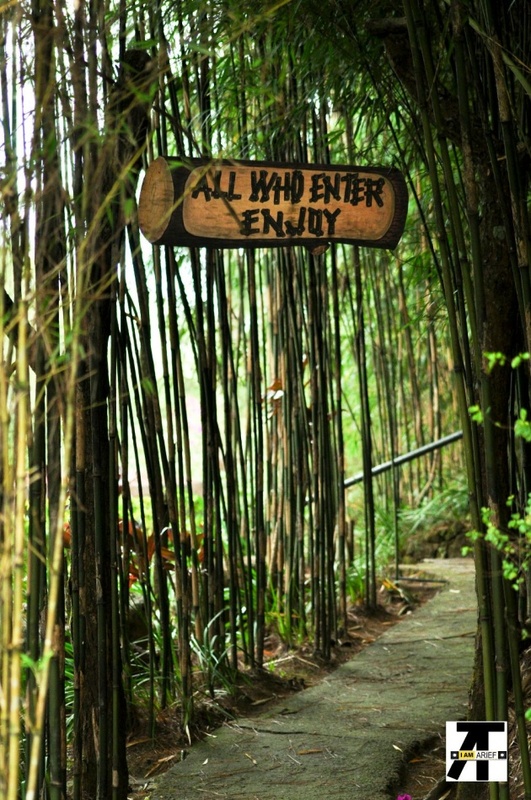 This is located at 25 North Santo Tomas Road, Campo Sioco, Baguio City. Getting there, you may choose to ride the Campo Sioco jeepney parked beside the Harrison Road overpass stairway. These jeepneys are parked near the Igorot Garden. You may also choose to take a taxi or use your own vehicle. "From the downtown area, proceed to the rotunda across the Baguio General Hospital then take the road to the right towards the direction of Marcos Highway. 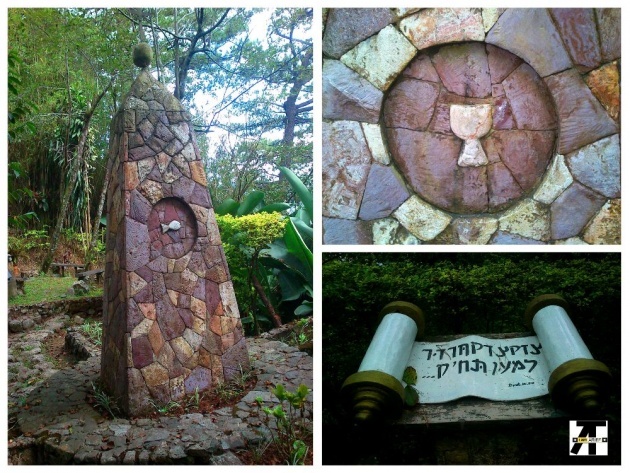 After passing Lina's Mart look out for the Amway and Agua Vida signages where you turn right and follow the road until you reach the Maryknoll gate." This is open from 8:30 am to 4:30 pm. There is an entrance fee but I don't know how much now after their renovation. We went there before the renovation and it was PHP25.00 then. You can bring in food and drinks here and have a picnic and they won't charge you for that. Just be sure to clean after you go. They also have a camping ground. You can spend more time with nature there. You can enjoy group activities like team building, retreat, conference, etc. Visiting the whole place is like taking an eco-walk of some sort. You can talk a walk or a stroll in this peaceful and relaxing environment. It gives a feeling of a secret garden, a haven in the middle of the city. According to their website, there are different programs that they offer listed below. Check out their website for more information regarding these programs. 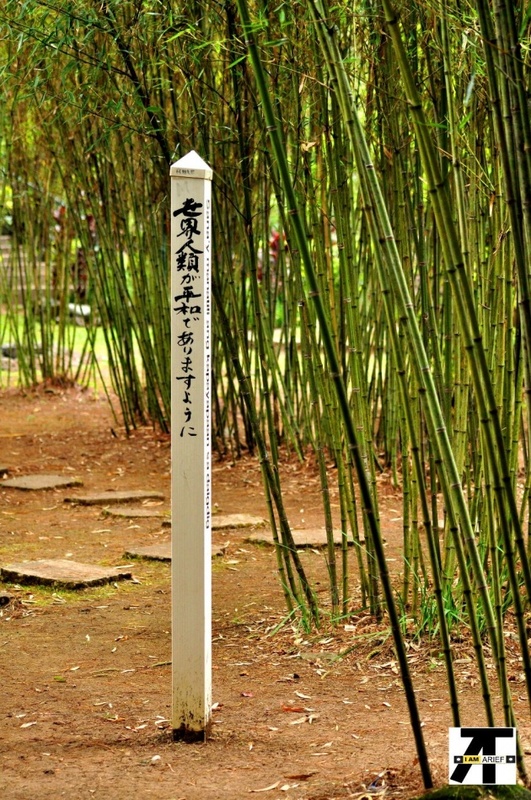 i really like to have house made of stones and ricks but it become expensive and in the first pic are these bamboos >? whats the story of this site?